The end of one love story is the beginning of another! Previously on The Four… catch up with episode 9 recap! So I guess the Fox’s husband is not dead? For a sickly man he sure can hang on. In any case, the Fox and her husband exchange some really sappy words about not being able to live without one another. Wait, I thought the Fox would die once her tails are cut off? Zhu Ge, did you just lie to me?!?!?! Also, Leng Xue and Li Mo stand there the entire time watching the lovers share last words. Am I the only one who thinks that’s really awkward? Like, please, give them some privacy! Meanwhile, Zhu Ge, the Four and a bunch of other minor detectives go knocking on ASG’s door. They try to pin him down for all his crimes, but aren’t able to due to the lack of evidence and logic. It’s true though, I’m not sure what the point of this visit is because aside from making sure ASG know they are on to him, nothing is accomplished. Of course, Zhu Ge throws down some warnings about how the next time there will be severe consequences. Yawn. Back at Shen Hou Fu, everybody is busy studying for the annual test for special detectives! I guess the idea is that everyone start off as normal detectives and then you can advance through the ranks to become special detectives? Is that like the difference between regular policemen and the CIA? Something like that? Anyway, back to the story – there is a girl named Hai Xiang who has been trying to pass the test for the past five years. This year is her last chance because if she does not pass, her father will marry her off to a rich man’s mentally disabled son. 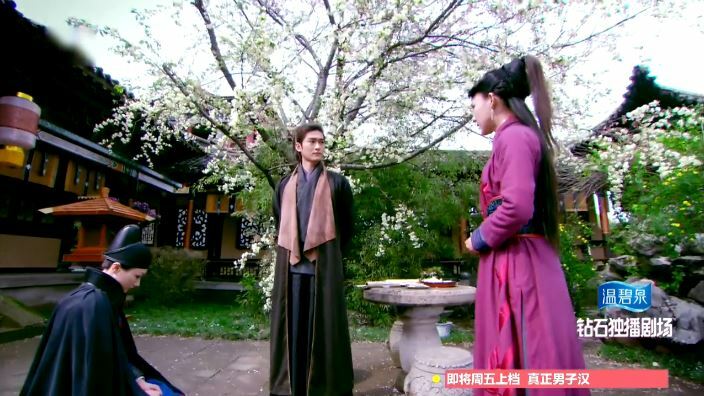 Not wanting to resign to that fate, she begs Ji Yao Hua to help her, and Yao Hua in turn, asks Leng Xue to assist. Leng Xue does not want to help because he believes in the righteousness of the test and Shen Hou Fu. However, Yao Hua emphasizes the difference between men and women: if men fail the test, they can go home, start a small business, get married and have children. Yet if a woman fails and goes home, she has no control of what her fate is. This seems to move Leng Xue who tells Yao Hua that he is only in charge of the male testers. Hai Xiang comments that Leng Xue must have agreed to help because he likes Yao Hua. Oh dear. All seems to be fixed when test day arrives. The testing topic is to write an essay after examining a dead body. This is not just a test for the detectives-to-be, it is also a test for Li Mo! She is charged with assisting Yao Hua and Leng Xue with invigilating, but in reality it is for her to sharpen her mind-reading skills. Sure enough, she spots Hai Xiang. I don’t know why she gets a high chair to sit in though; it’s like a grandiose baby seat. After the test is over, Leng Xue scolds Li Mo, but she complains she didn’t do anything wrong. 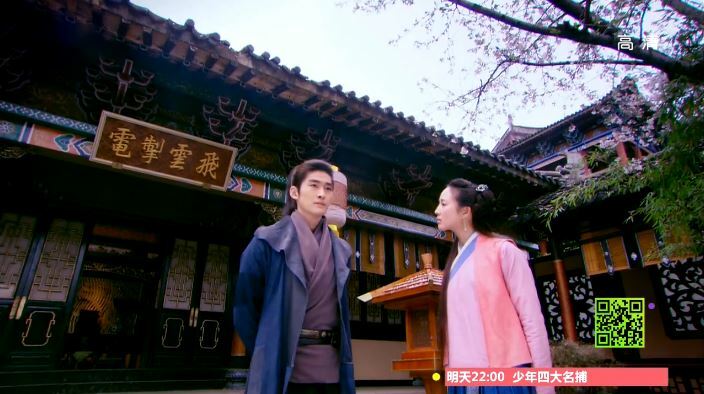 Upon hearing the story behind it all, Li Mo insists that it would have been dangerous for Hai Xiang to become a detective if she is an ill fit for it. I guess there’s truth in that, but man, Li Mo, you really are not that compassionate! Talk about being cold-blooded! Who is the real mean one here? Perhaps out of guilty, Li Mo somehow becomes sick and develops a fever. Leng Xue doesn’t buy it and commands her to cook a meal for him. She does so, but while in the kitchen she dips her head in the water jug to cool down. When she delivers the food to him, Leng Xue asks her to clean the room, wipe the windows, dust the furniture and all that. She starts with wiping down the furniture and slowly progress over to him. She chides that the table is also dirty, and so is his shirt and his mouth…. LOL. Of course he is not going to let her use that nasty rag to wipe his mouth so he flips his bowl of rice on her hand. Tsk tsk, what a food waster! Then, she takes a broom to sweep the floor and hit his legs in the process of course. But who is Leng Xue? He quickly catches on and grabs hold of the broom with his feet. She tries pulling it and falls on the ground. Still haven’t given up yet, Li Mo takes out a duster to get the dust on a lamp above Leng Xue’s desk. This lamp is definitely very dusty and Leng Xue is finally bothered by it! It looks like she is going to win this round, but alas a flick of hand and Leng Xue plants an ink dot on Li Mo’s forehead. After nine episodes, Li Mo finally saves Ye Er from the jail cell! Leng Xue wants to go to ASG’s residence to figure out why ASG wants his blood, but Zhu Ge tells him not to because it would be too obvious. Oh, and your little visit was not? Dude! 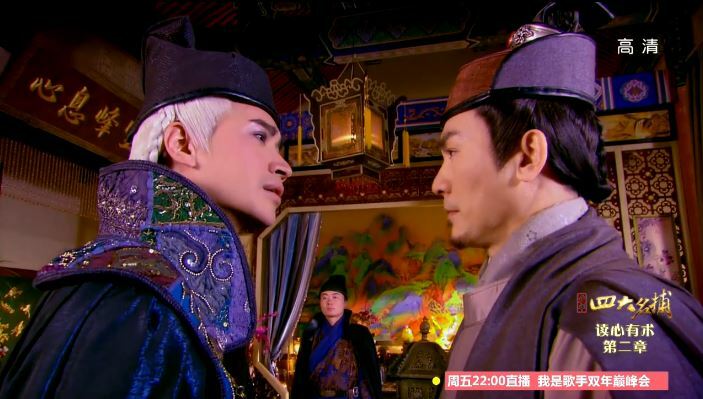 Wu Qing saves Li Mo once again! She nearly falls into the lily pond and he flies over to catch her.